It’s easy to find vast panorama pictures of Bryce to put up, in fact we love them. The pictures that showcase the wonderful amphitheater that is Bryce Canyon National Park. But what is often harder is finding an image of Bryce up-close and personal. That showcases the intricate details and stunning beauty that is Bryce. This is one of those photos that hits the spot for this. It shows you in great fashion what will greet you when you visit this place. 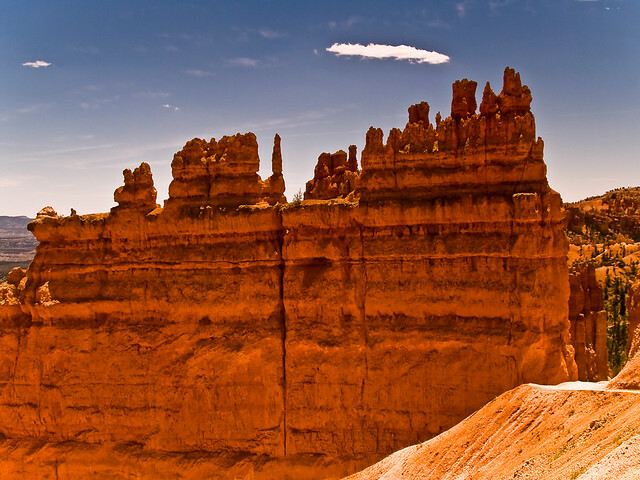 If you haven’t had a chance to see Bryce Canyon hike any trails here, or do anything, then hopefully this will inspire you to remedy that and get here fast.